Love, Etc. : Poems of Love, Laughter, Longing & Loss. L.L. Barkat. T. S. Poetry Press, March 2014. L.L. 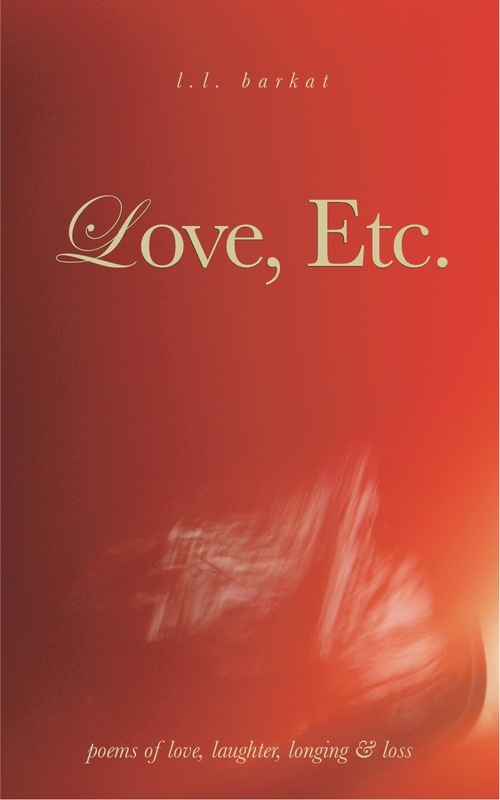 Barkat is the author of six books, including her most recent poetry collection, Love, Etc. : Poems of Love, Laughter, Longing & Loss. She is also the author of The Novelist: A Novella (an experimental fiction) and Rumors of Water: Thoughts on Creativity & Writing (twice named a Best Book of 2011). Her poems have appeared at Best American Poetry, VQR, and Every Day Poems. She is a staff writer for The Curator, a contributor for Makes You Mom, a writer for Huffington Post Books blog, and the Managing Editor of Tweetspeak Poetry. Description: Love has many faces. From the sensual to the reflective, from the whimsical to the worrisome. Love, Etc. explores the mixed experiences of love, in language infused with Barkat’s signature sensual touch. i think it's lovely that you're sharing great books. recently discovered your 'crafty poet' book on amazon and am so excited to begin reading! Thanks, Stacy. I hope you'll visit often. And I'm so happy to know that The Crafty Poet has found its way into your hands. I hope that it will provoke many good poems from you.